The Observer points us to a lawsuit filed today in State Supreme Court aimed at stopping the demolition of Albert C. Ledner’s National Maritime Union HQ in Greenwhich Village, now known as the O’Toole Building. If you read the paper with any regularity, you should know full well the story of St. Vincent’s Hospital’s attempts to replace the one-of-a-kind “overbite building” with a 300-foot tall Pei Cobb Freed-designed hospital tower. 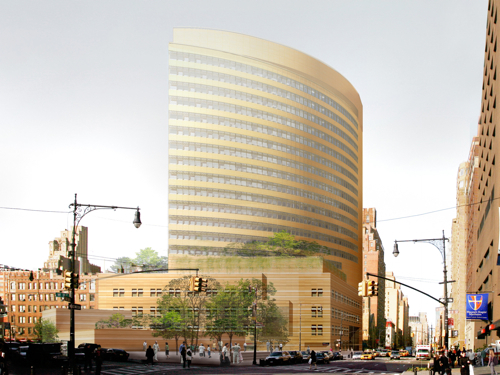 Well, the lawsuit may be just in time, as the Landmarks Preservation Commission is due to vote today on whether or not it approves the outsized plans for the new hospital building. As we most recently reported, a majority of commissioners are leaning towards approval, meaning the suit may be the last chance to save Ledner’s building. The petition, which can be found here, was filed by the Protect the Village Historic District and a coalition of preservation groups and neighbors. It effectively calls into question the commission’s torturous 6-4 October vote, which condemned the building in question, on the grounds that the hospital, and its development partner Rudin, were not wholly forthcoming. In addition, petitioners contend that because St. Vincent’s acquired O’Toole Building AFTER the restrictions imposed by the Landmarks Law were already in place, the Hospital could not have had “reasonable investment-backed expectations” of the sort that would justify a constitutional exception to the otherwise proper and lawful restrictions on an owner’s use of its property that are codified in the Landmarks Law. 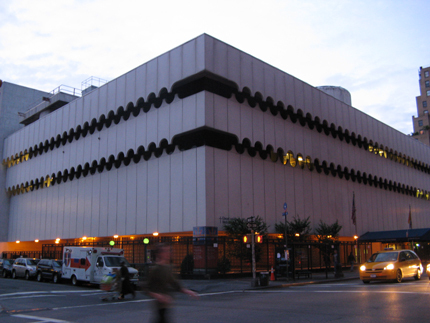 This has been a major issue for preservationist throughout the two-year fight because they fear it sets a dangerous precedent wherein any charity could purchase a landmark, claim it does not suit its needs, and then demolish it. The hope is that with the subpeona power of the courts, the petitioners can bring to light many of the concerns that were never fully aired in public at the commission, such as the financial position of the hospital and any closed-door discussions and analysis performed by the developers with regards to alternative site. Still, one prominent land-use attorney who often goes before the commission doubted the suit’s success. The attorney, declined to comment because, on the one hand, a number of associates lived in the neighborhood and were upset by the proposal, while on the other, the firm had and might yet deal with similar claims. Generally speaking, however, the attorney said the commission is always very cautious on such matters. Well, the commission’s gotten it’s wish, so to speak. (The city has declined to comment until it receives the petition, which a spokesperson said it had not.) Whether this turns into another Atlantic Yards, or even another Grand Central, which is what got us here in the first place, remains to be seen. Then again, if they vote down the hospital tomorrow, maybe it won’t even matter. But if not, we can only hope Joe Pesci is on the petitioner’s side, ’cause he sure puts up a good fight.